Ladies, can we talk about liquid foundation? Now, it’s great for evening out your skin tone and covering minor flaws, but—even with your bathroom cabinet full of professional brushes and sponges—the risk of sporting a caked-on look with your spread-on foundation is alarmingly high. If you’re looking to achieve thorough coverage while still maintaining a light and natural look, it may be time to consider getting yourself an airbrush makeup kit. Airbrush Makeup kits are tiny machines that have a powered compressor which releases liquid foundation as a fine, controllable mist that dries delicately on your face. Airbrush makeup kits are so simple to use that they are perfect for both makeup beginners as well as makeup aficionados. That means no globs or streaks—not even in wrinkles! Not to mention, airbrush makeup is easy to remove and does not clog pores as much as regular spread-on foundation. Here we share our top five best airbrush makeup kits with you. Enjoy! Looking for a best makeup airbrush kit suited to your unique beauty wants and needs may be a daunting task. There is such a large selection of brands and models that the uninformed shopper may easily become overwhelmed. Lucky for you, we’ve narrowed down your search to five of the top airbrush makeup kits available. Whether you’re a beauty beginner or have professional experience with makeup, the Art of Air Professional Airbrush may be the best airbrush kit for you! Aside from the airbrush machine itself (and the cleaner it requires), this kit comes with six fair to medium tones for foundation as well as anti-aging primer, bronzer, blush, and a shimmery highlight. 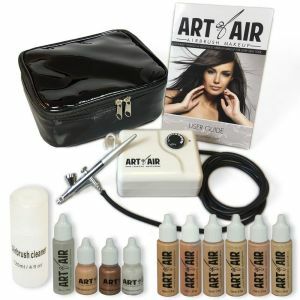 The Art of Air Professional Airbrush makeup kit also comes with a deluxe black carrying and storage bag for the airbrush and its compressor. This collection of goodies is enough to get you started airbrushing without the need to purchase additional accessories. If you have a light to medium skin tone, then this airbrush makeup kit likely sells (and probably even comes with) your proper color. It is also possible to mix colors together with this airbrush! That means that, regardless how difficult to match your skin tone may be, if you have fair to medium skin, this kit is likely to supply a color or two that blend flawlessly with your skin. However, customers with darker skin tones will not find the color(s) they need to match their natural skin tone. But don’t worry, ladies! This same brand offers an identical kit equipped with makeup for darker skin tones. The Art of Air Professional Airbrush is great for beginners because the air flow is entire adjustable. You can control the air pressure using the knob on the compressor. If you like the idea of oil-free, water-based cruelty-free makeup, then you will love the makeup included in the Luminess Air Basic Airbrush Kit. Luminess has created a unique formula of light makeup that makes it good for sensitive skin. It is hypo-allergenic, non-comedogenic and opaque making it ideal for acne-prone, dry and sensitive skin. That means less break-outs for you, even if you wear your spray-on foundation every day. It is dermatologist and ophthalmologist tested and allows the skin to breathe without affecting the coverage. You can use the spray over skin imperfections such as acne, dark eye circles, scars, rosacea, wrinkles and even tattoo and lasts up to 18 hours. This kit comes with a lightweight power compressor with a carry case for portability as well as three foundation colors in your choice of either fair, medium, or dark. Having three color families to choose from as well as the ability to mix your own custom colors, the Luminess gives you more foundation color options than the Art of Air Professional Airbrush. If your skin tone is hard to match, then this may be the best airbrush kit for beginners. This airbrush has three pre-programmed settings allowing control over the airflow for eye, face and body application. Foundation can be sprayed at low, medium, or high pressures, changing the concentration of makeup on your skin. Although this is much easier to adjust correctly, having only three settings means you cannot fine tune or customize your air pressure. If you are looking for simplicity and ease of use, then you should check out more Luminess Airbrush makeup reviews. See the product video below to see the difference between airbrush makeup versus regular makeup! If your skin tone is difficult to match and you do not feel confident mixing a custom concoction of foundation, then check out the exclusive Color Match Guarantee offered by the Aeroblend Airbrush Makeup Personal Starter Kit. The brand promises that, even if your shade is not included in the original kit, they will send you free samples of their airbrush makeup until you find your tone. Aeroblend is willing to guarantee this because they are so confident that their colors represent natural skin tones of every color. Aside from offering five different Aeroblend foundations, the kit also includes blush, bronzer, and highlighter. The foundation which lasts 10 hours is mineral, silicon and paraben free so that you can use it over acne, blemishes, sunspots and scars. It also contains jojoba, lavender and kaolin which makes it suitable for those with sensitive skin.This airbrush makeup kit is also adjustable—just turn the knob on the power compressor to increase or decrease air pressure and flow. Unlike the three power settings on the Luminess Airbrush Kit, the Aeroblend has 5 speed settings to give you a large range of control over the foundation. Though this may be on the higher end of the price spectrum, the Aeroblend Airbrush Makeup Personal Starter Kit is still great for beginners and professionals. Furthermore, the refills of foundation are not as expensive as other brands, meaning you may even save money in the long-term! If you’re looking for long-wear foundation that feels light and airy, then the Photo Finish Professional Airbrush may be the best airbrush foundation for you. This set comes with a high-quality power compressor as well as give foundation colors from either the fair or medium families. As with the Art of Air Professional Airbrush, the Photo Finish Professional Airbrush also allows the user to mix custom foundation colors by blending multiple shades of makeup together. The Photo Finish Professional Airbrush kit comes with five foundation colors, so that you are likely to get your exact color match in the kit. Also importantly, this airbrush makeup kit allows the user to fully adjust the flow of foundation to their preference. The strength of the air flow as well as the concentration of foundation can be controlled with this machine. Our favorite thing about the Photo Finish Professional Airbrush is that it uses oil-free, mineral based makeup. This special formula won’t clog pores or wear off for over 24 hours. Without the need to reapply foundation as often, your makeup will last a lot longer before running out. And, for the eco-conscious, this brand does not test its beauty products on animals or mix in any alcohol or other harmful substances. Introducing Belloccio Airbrush Makeup Kit! This airbrush makeup kit include the power compressor four foundation colors, along with a blush, highlighter and bronzer. As with each of the other models, this airbrush holds its makeup such that a number of colors can be mixed together to create a custom shade fit to your exact skin tone. All of this make-up is water-proof, but at the same time extremely gentle on sensitive skin. They do not use silicone or paraben and contain beneficial antioxidants for youthful skin. So, not only will you look good, but you can feel good about it, too. This power compressor also comes with a cleaner, just as the Art of Air Professional Airbrush does, so you can keep your hose and nozzle fresh and sanitary. The power compressor has 3 air flow settings to provide an ultra-fine mist of makeup. You also get 3 bonus products, a carry bag and an instructional DVD. It includes a high definition concealer, egg shaped makeup sponge and refreshing finishing spray that sets your makeup in place. These Pinterest pictures show how a makeup airbrush can give that flawless amazing look you have been craving! It can hide your acnes, pores, eye dark circles and give your skin a radiant glow. It is light on your skin and gives flawless coverage and give long lasting results. 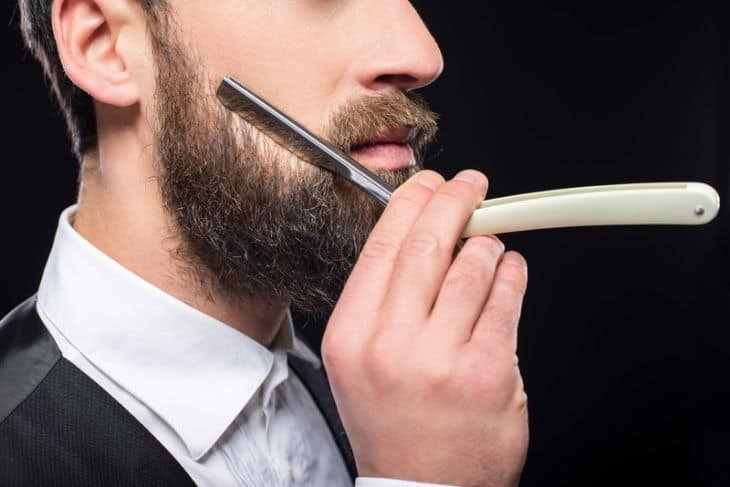 You may be eager to end your cake-face days and move on to something more subtle and natural-looking, but before buying an airbrush makeup kit there are a few things you should know. 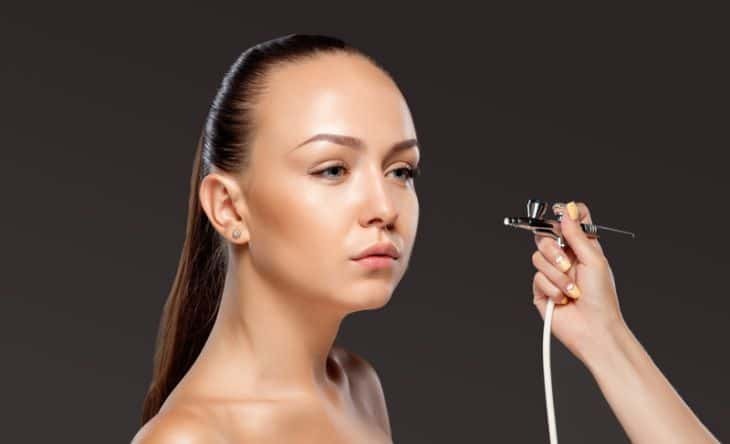 Flow Control- Personal airbrush makeup kits are essentially small power compressors connected to a hose with an adjustable spray nozzle that controls the flow of foundation. Some of them have only 3 fixed flow settings so will need some practice to get the perfect spray for you. Foundation-However, most airbrush makeup kit models require that you use a special foundation (typically from the same brand), specifically formatted to be compatible with that particular airbrush makeup kit. These foundations tend to cost a little more than the average spread-on foundation, and upkeep of an airbrush makeup kit may become expensive, and are therefore not ideal for the budget beautician. So check the price for refills as well while buying one. Look for water based, mineral and silicone free foundations suited for sensitive skin. Some can last really long while others may need a holding spray to stay on. Shades- Because airbrush makeup kits are versatile—each machine is compatible with a unique types of makeup and offers a different variety of settings and functions—it is important to consider whether or not your color (fair to dark) after all, many are available as well as how easily you can fine-tune and control the strength of the mist before buying an airbrush makeup kit. Extras- As you are getting a complete kit, make sure it includes compatible things like blush, bronzer, shimmer, primer, bag and an airbrush cleaner. Each of the airbrush makeup reviews reveal some great kits for both beginners and professionals, and each has their own special charm. However, there is a clear winner when it comes to getting a quality airbrush makeup kit at a good value: Art of Air Professional is simply is the best airbrush makeup kit. This brand offers the widest selection of foundation colors (as well as other, multi-purpose colors, such as blush or highlighter), allows for detailed control over airflow and air pressure, and doesn’t cost a fortune. Happy airbrushing! Check out our list of best blow dryers here. Also check out the best rated lighted makeup mirrors or jewelry box to use your kit. I am still on the fence with airbrush systems. I love the way they look in videos but I have seen what they look like in person… and it isn’t pretty. My sister bought one of these off HSN last year and I don’t have the heart to tell her that it looks like she has cake on her face! I think it depends on your age and skin type. She might be using the wrong formula for her skin.